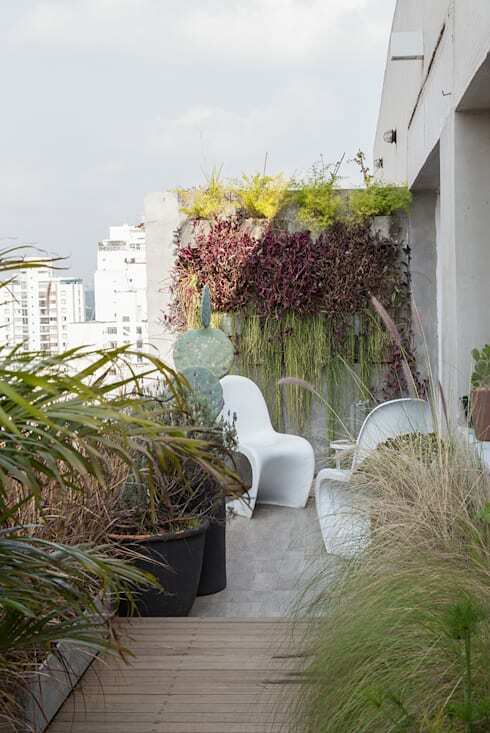 Super-sized or small, monstrous or minuscule, an outdoor space is something to cherish. Living in an overcrowded metropolis like Hong Kong it’s essential you maximise your potential to escape said concrete jungle, and open up your perspective to the sky. When it comes to having a balcony, patio or porch or outdoor entertainment area of any type, the benefits simply cannot be overstated. Okay, so your space is small, but it’s still an outdoor space right? 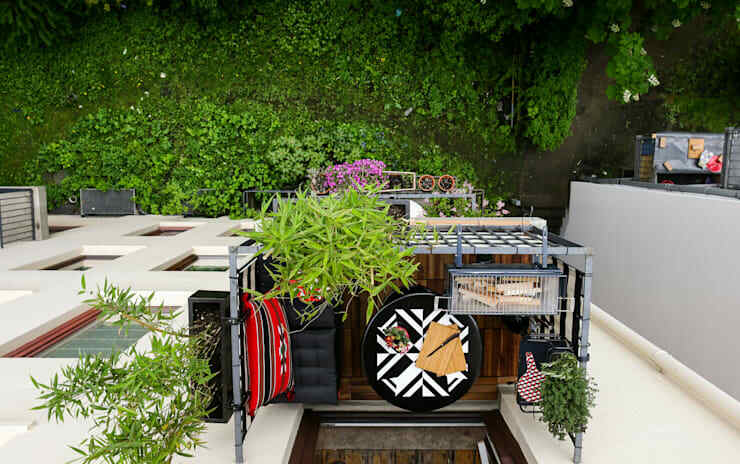 We say embrace the tininess of your garden or balcony and install a space-saving balcony with a built-in griller, seat and table. We love this example, which makes the most of its compact size, yet still packs a range of options and possibilities. You know that book you’ve been trying to find time to read? Time to take yourself outside and get started! 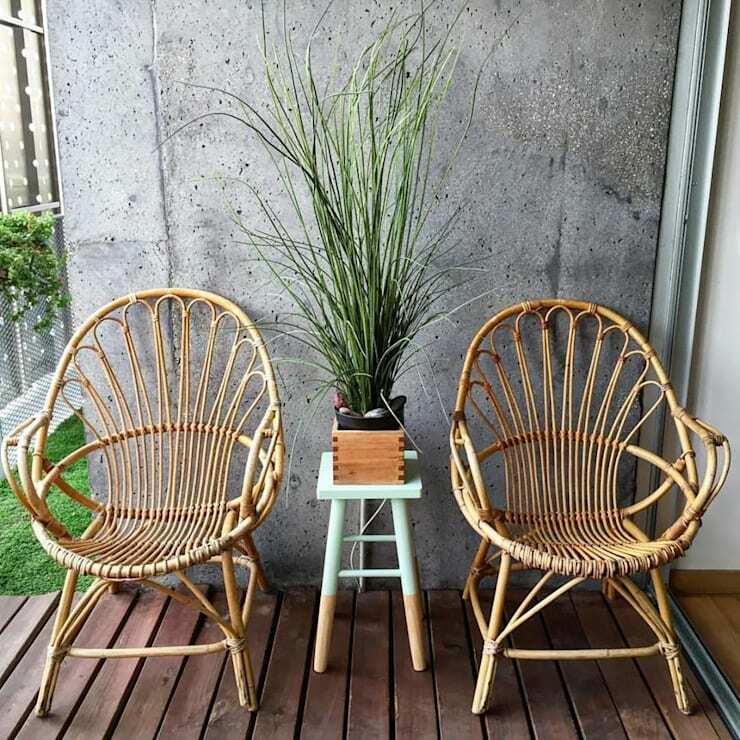 A small outdoor area is perfect for a tiny Zen relaxation spot, and no matter how minuscule, will offer a neat area for rest and rejuvenation. 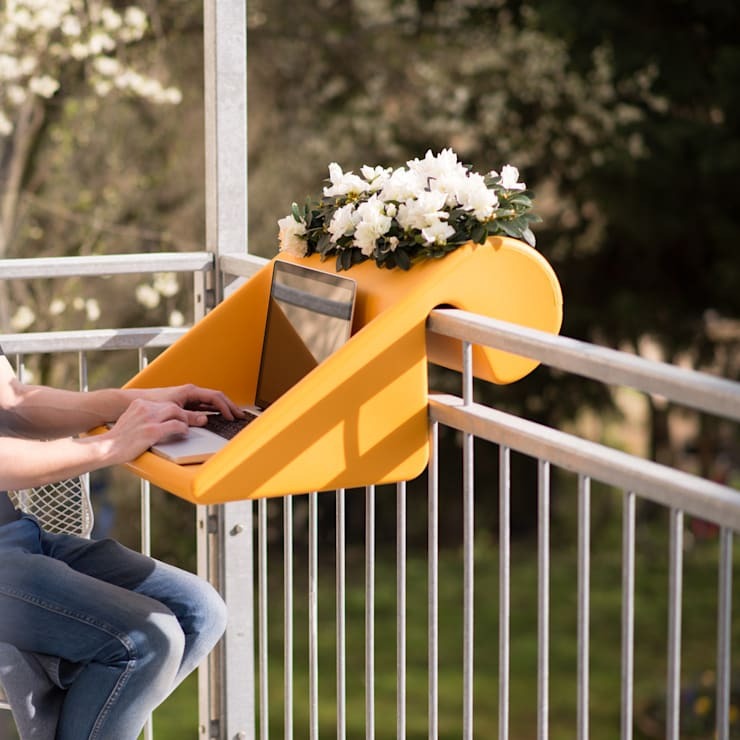 If you like the idea of getting outside to work, you might want to consider a desk that fits over the top of you balcony’s balustrade. This is simple and effective, and boosts your home’s floor plan. If you need assistance planning your new outdoor workspace, you can always call in the professionals to ensure you get the best design advice. 4. No garden, no worries! If your outdoor space is semi-enclosed like this balcony example, you needn’t worry. These areas are sometimes known as winter gardens, and although Hong Kong winters are fairly mild, they have been known to easily drop to a chilly 10 degrees. This design offers an offer a host of options, and is perfect for cooler nights. Open up the windows fully when you want to experience a little fresh air, or employ the space as a simple and effective home office. An outdoor space is often used best when it is simply a place to relax and hang out with friends or socialise with guests. 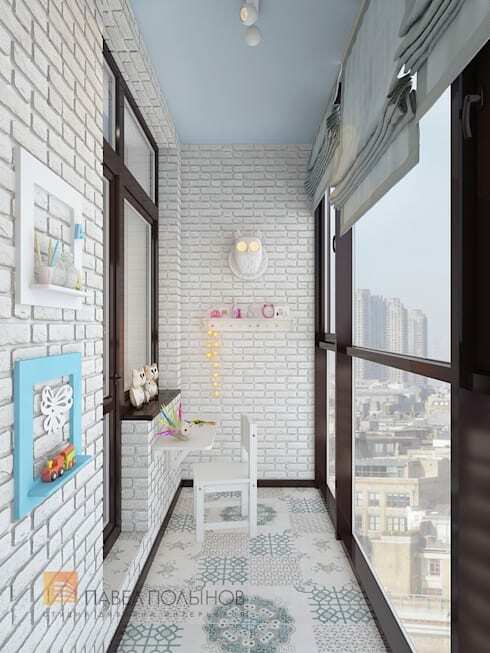 Take some cues from this comfy and welcoming balcony, which shows us that good things really do come in small packages. 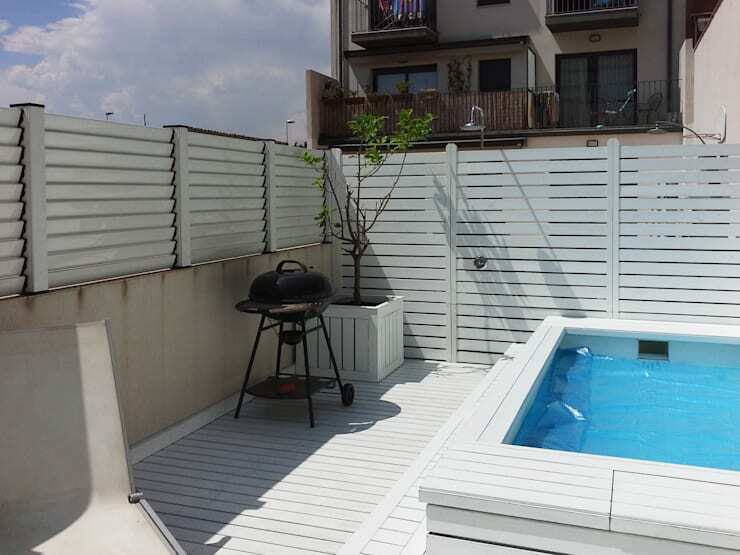 This space certainly isn’t tiny, but it does offer a few ideas in terms of hot tubbing and Jaccuziing. Even a minute space can accommodate a spa, and will seriously improve your popularity when the temperature drops over winter. Many varieties of plants need only a small space to grow and this is why they are perfect for your tiny outdoor space. Try your hand at a little gardening, and utilise your area for edibles such as herbs, or colourful options such as flowers. 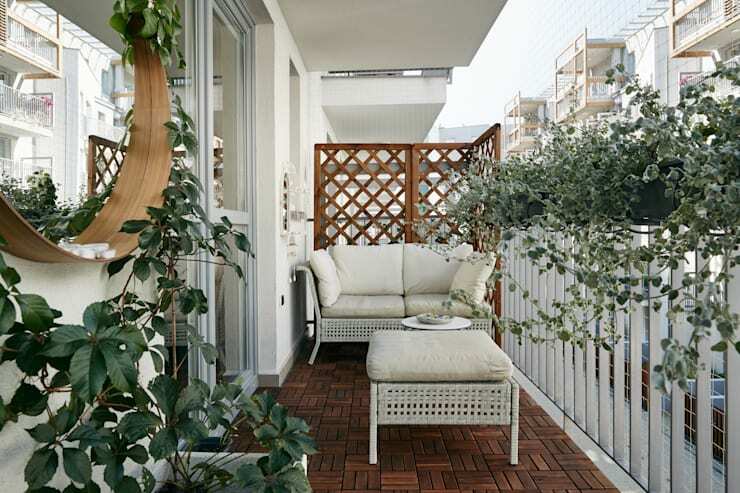 How do you make the most of your tiny outdoor area?